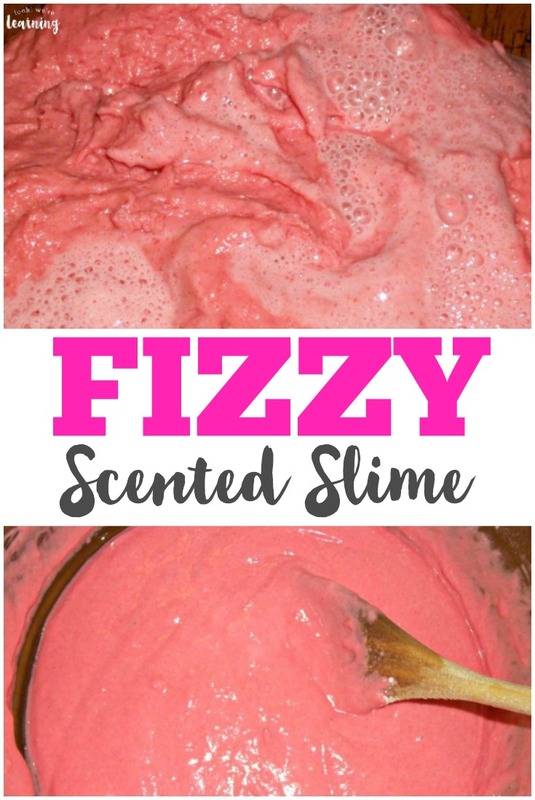 Easy Fizzy Scented Slime for Kids - Look! We're Learning! Slime recipes are all over the place these days. You can find them in all different kinds, colors, and textures. 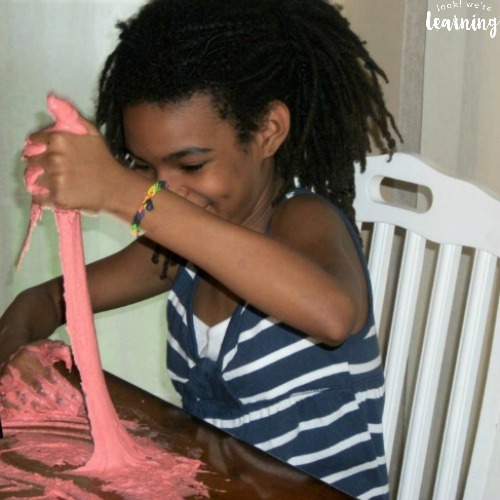 But to add a little bit of science to our sensory fun, we decided to make some fizzy scented slime and our kids had a blast playing with it! It’s hard to grasp what exactly makes slime so popular with kids, but I know my little ones enjoy playing with it. I suspect that it’s because it’s goopy and stretchy, so they get the feeling of making a mess without actually making a mess. Win! 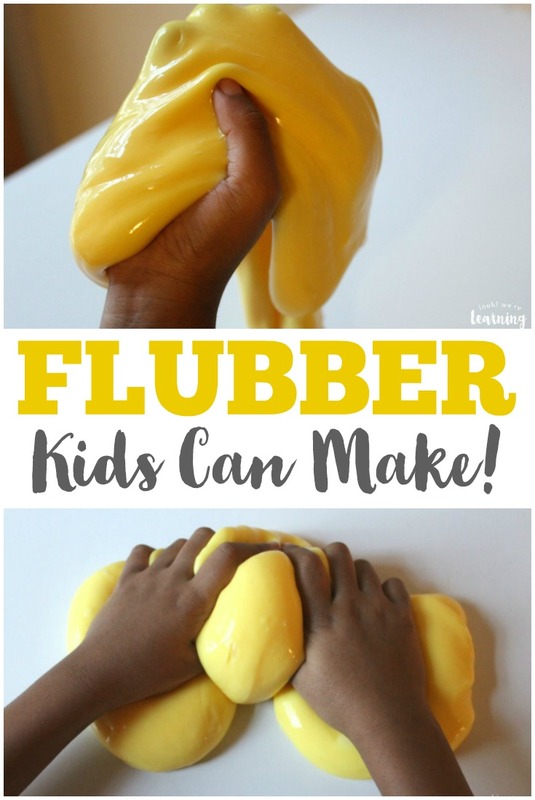 If your kids enjoy sensory play as much as mine do, be sure to check out this DIY Flubber recipe! 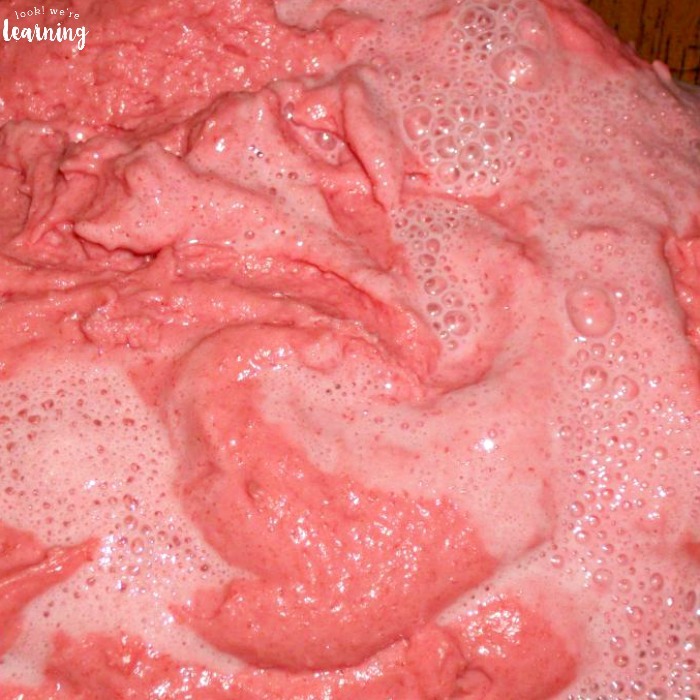 It’s awesome for squishy sensory fun! At first, I didn’t plan on using the gelatin, but I found it during a pantry sweep and I thought, “Why not?” It turned out to be a great idea. 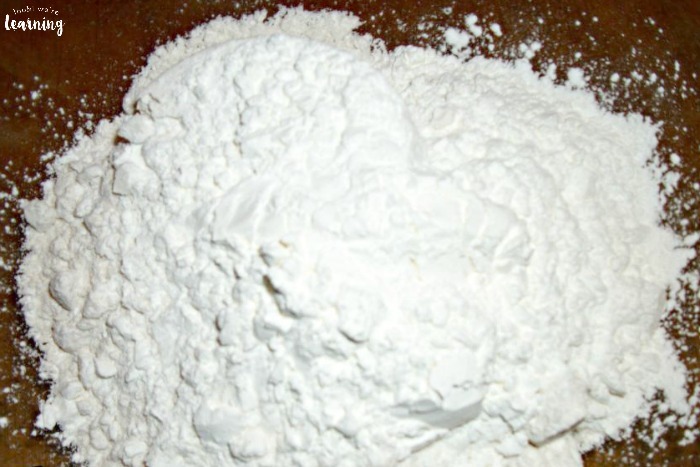 We started with 2 cups of flour. 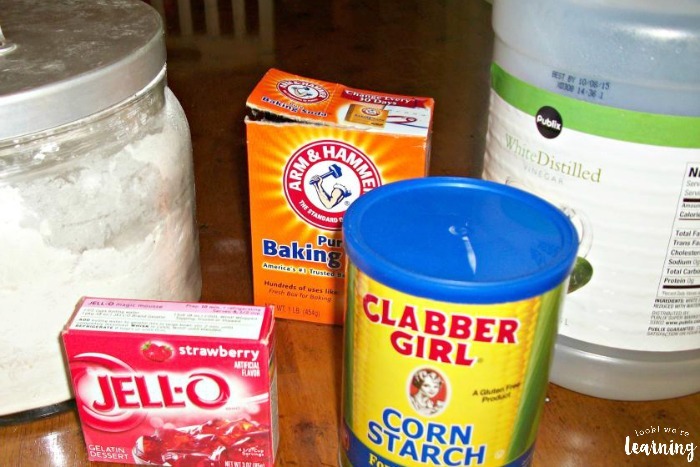 We added about 1/4 cup of cornstarch and about 1/4 cup of baking soda. 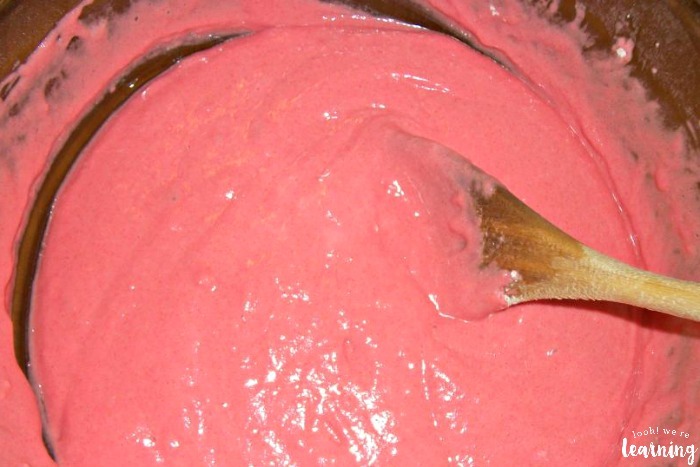 Then we poured in the strawberry gelatin powder, which made the mixture smell wonderful, by the way. We added in water until we reached the right consistency. It ended up being about 1 cup of water. 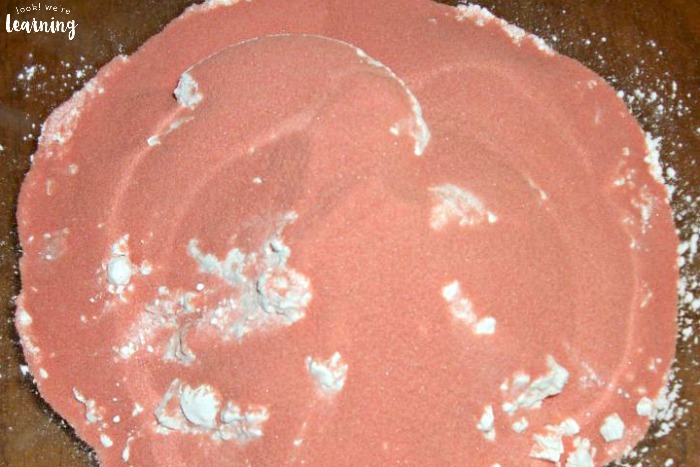 Now – to make it fizzy! I scooped out some dough for each child. Then I poured 1/4 cup of vinegar into a measuring cup and used a tablespoon to pour some into each batch. The kids were a little unsure about touching it at first. I mean, the slime was fizzing, so I totally understand their apprehension. But after a few minutes, they really got into it! Tigger, our sensory seeker, especially loved it! Then we spent a few minutes talking about the scientific reaction we were witnessing as the vinegar and baking soda interacted. That’s what makes the fizz! 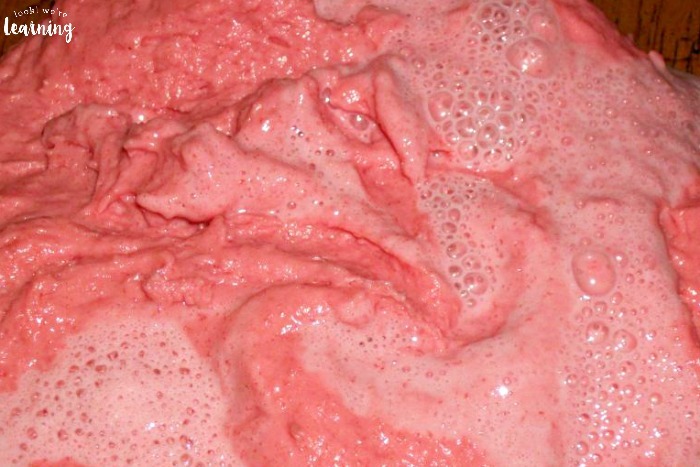 This slime recipe isn’t made with glue, so you will need to actually use soap and water to clean it up. 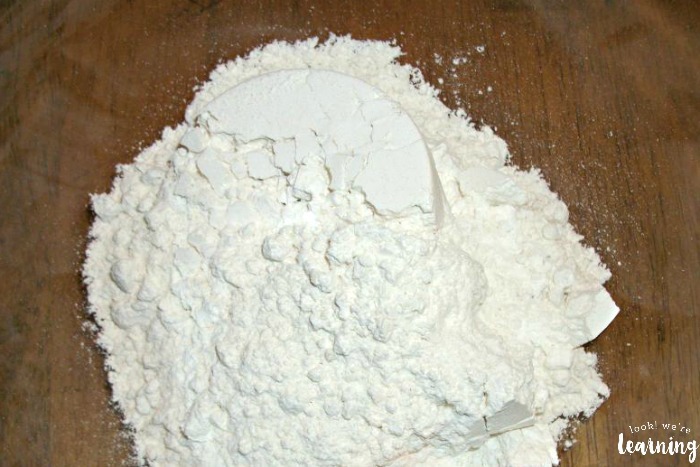 I suggest letting the kids play with it on a hard surface that you can easily wipe afterward. Just a heads-up. 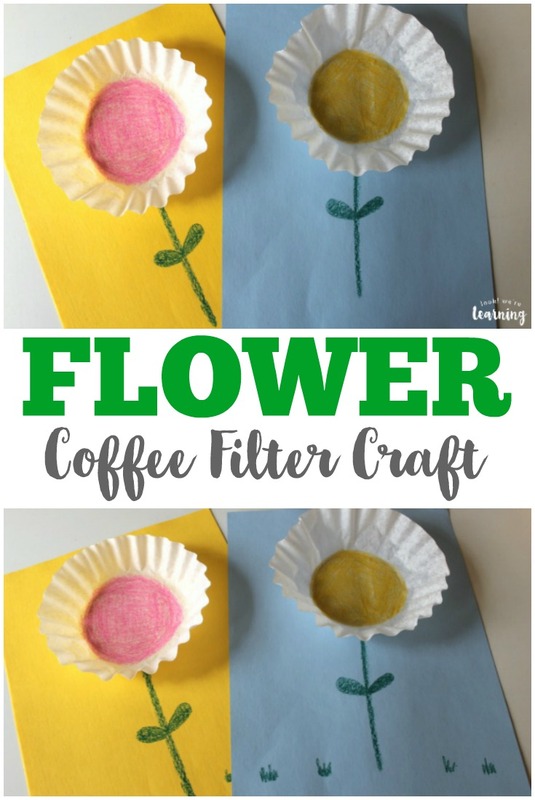 Want to try more fun activities with your kids? Try some of these! 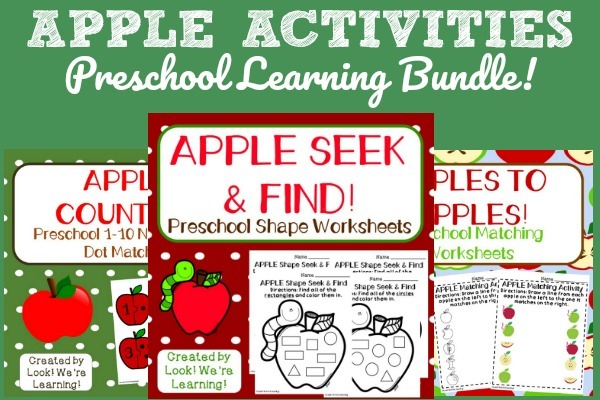 You can get exclusive learning printables and activities in your inbox when you sign up for our email newsletter! 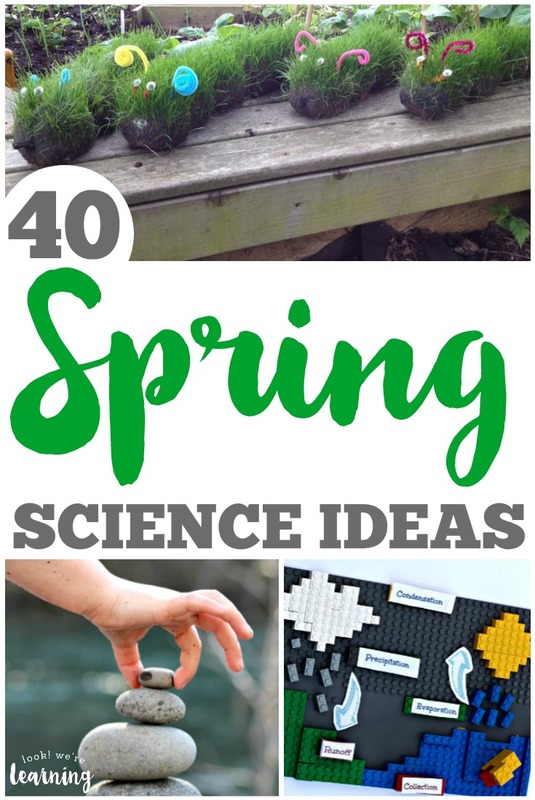 And you can get more fun and easy activities for kids on my Indoor Play Pinterest board!